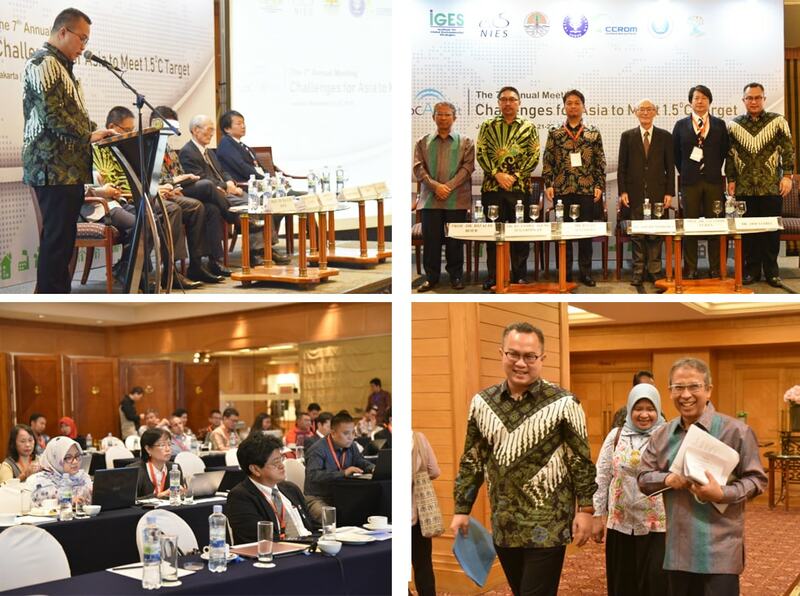 The seventh LoCARNet Annual Meeting was held in Jakarta, Indonesia on 21 – 22 November, 2018. Under the main theme of “Challenges for Asia to Meet 1.5℃ Target” , Plenary and Parallel sessions were held as below, following the Opening Ceremony and Keynote Speeches. At the meeting, stakeholders from Asian countries presented their recent research and activities with the aim to realise the 1.5℃ target. They had a clear awareness and sense of responsibility that Asia, as the world’s largest emitter of GHGs, is a key player in contributing to ensure the Paris Agreement goals turn into reality. At the last Plenary Session on the second day, discussions focused on one of LoCARNet’s consistent concerns, namely how can we promote evidence-based policymaking by bridging the gap between policymakers and the research community. As a deliverable of the Meeting, LoCARNet announced the LoCARNet Jakarta Declaration which includes the enhancement of Asian research capacity with more participation by young scientists, as well as emphasising Asia’s readiness for low-carbon transition which contributes to the 1.5℃ Target while achieving SDGs. The Declaration also touched upon the realities facing Asian countries with the current wide diversity among countries, and also on the necessity of development in order to ensure welfare especially for low-income households. The Declaration emphasised that timing is crucial to avoid lock-ins and to seize “leapfrogging opportunities” by taking positive actions, supported by global climate policies, including technology transfer and incremental finance. A report of the meeting and a table of presentations will be updated on this website in due course. PS1-1B_3 Experience on the Implementation of T-VER – How T-VER Encourages Private Sector to Contribute to Meet NDC Target in Thailand? 13:30-15:30 Plenary Session: How We Could Promote Evidence-Based Policymaking by Bridging the Gap between Policymakers and Research Communities?